We have great packages perfect for birthdays, team bonding, networking charity events or an afternoon with mates. Sylvania Bowling Club is a treasure in the middle of the suburb of Sylvania. 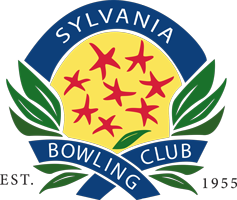 Known as the friendly club, Sylvania Bowling Club is a great example of how a relatively small club serves the local community by providing a leisure activity through bowls and associated social events. We hire our greens for social bowls and corporate days. We welcome visitors to our club by promoting bowls as an option after playing cricket, soccer, rugby, netball or hockey, who otherwise may never have an opportunity to try it. We have great packages perfect for birthdays, team bonding, networking charity events or an afternoon with mates. Click here for package information. Prizes drawn on Thursday 18th April from 6:30pm. Tickets can be purchased from the bar. Yes you did! What’s left of your basket is behind the bar! !